Sail into history on Holland America with a cruise that takes you to historical capitols across Europe where you can explore cities, towns, and ancient landmarks while sipping on authentic wines and tasting the best in gourmet cuisine. 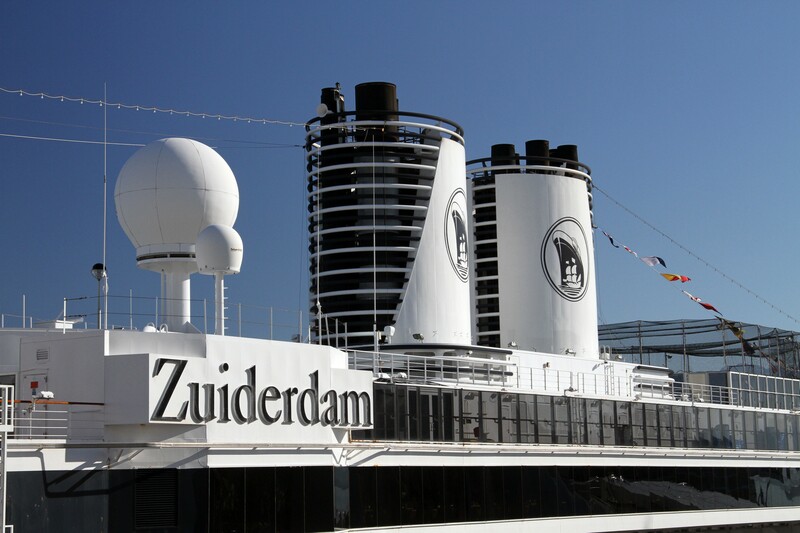 Holland America's Zuiderdam is a timeless ship perfect for travelers seeking an unforgettable experience on the seas. With many itineraries around the world, you can choose the itinerary best for you and start planning the perfect vacation. Sail through New England on the east coast for a historically enriching journey where you can explore the same streets as the founding fathers and sample New England's famous cuisine. Search itineraries around Europe including stops in ancient Rome and Turkey where delicious local cuisine meets you at every port. 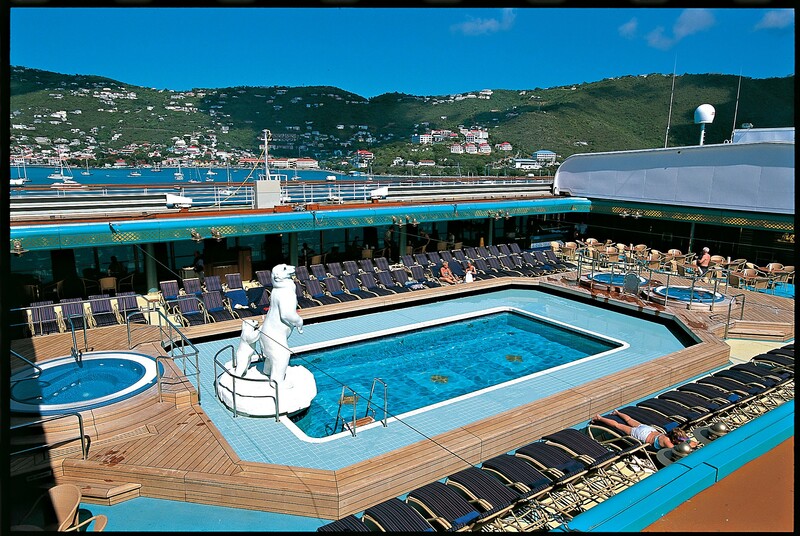 Zuiderdam even offers Caribbean sailings to popular tropical destinations where you can lie out in the sun and enjoy the beautiful ocean breezes all day. Zuiderdam has a host of activities onboard that will keep you entertained throughout your cruise, whether you're looking for adventure and physical activity or just want to relax on the deck by the pool with your favorite book in hand. All rooms onboard Zuiderdam come standard with amenities like a sitting room, large bathroom and shower, and ample storage space. Spacious inside rooms featuring signature Mariner's Dream™ bed with plush Euro-Top mattresses, premium massage shower heads. and a host of amenities. Expansive staterooms including two lower beds, Euro-Top mattresses, premium massage shower heads, a host of amenities and an ocean view. Spacious rooms featuring floor-to-ceiling windows overlooking a private verandah, a sitting area, and bath tub with premium massage showerheads. large, comfortable suites featuring spacious sitting area with floor-to-ceiling windows overlooking a private verandah, sofa bed for one person, and bathroom boasting a dual-sink vanity, full-size whirlpool bath and shower, and an additional shower stall. Spacious suites with floor-to-ceiling windows overlooking a private verandah. They feature a large sitting area and two lower beds plus a separate dressing room. The bathroom comes with a dual-sink vanity, full-size whirlpool bath and shower, plus additional shower stall. Amenities include use of the exclusive Neptune Lounge, a private concierge and an array of complimentary services. Elegant suites that include a living room, dining room, pantry with microwave and refrigerator, and floor-to-ceiling windows overlooking a private verandah with whirlpool. Amenities include a private stereo system, use of the exclusive Neptune Lounge, private concierge and an array of complimentary services. * Images shown may not reflect the actual cabin you'll be booking. Take advantage of the neverending activities onboard Zuiderdam during your cruise to exotic locales throughout the globe. The large casino has options for avid gamblers along with a plethora of slots anyone can enjoy. For an evening out on the town, head to the theater, where evening performances range from musicians and dancers to magicians. With ample lounges and bars to choose from, you can stroll through the ship with your preferred drink in hand at any time. Don't miss out on the bar crawl either, where you and your fellow guests will travel from bar to bar trying out the various offerings onboard and meeting new folks. During the day, take your new friends to one of the pools or whirpools and lie out in the sun during warm weather or hop in the year-round pool with a retractable roof no matter how cold it is outside. Vista Dining Room - Dining venue open for breakfast, lunch and dinner with a variety of menu options, including vegetarian and locally-inspired cuisine. You can eat at any time from 5:15 to 9:30 p.m., or choose a traditional seating schedule, either early seating at 5:45 p.m. or main seating at 9:30 p.m.
Search for Cruises & Compare Deals!